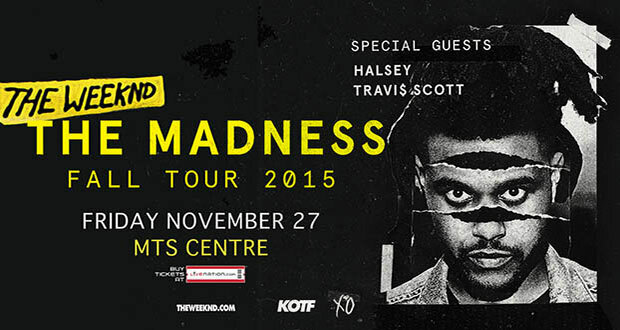 Grammy Award®-nominated, multi-platinum selling artist The Weeknd today announced The Madness Fall Tour. Set to kick off on Tuesday, Nov. 3 at Air Canada Centre in Toronto, Ontario, the Live Nation-produced tour will support the genre-spanning artist’s upcoming album, Beauty Behind The Madness, due out Friday, Aug. 28 on XO/Republic Records. The North American arena tour spans 22 cities across the U.S. and Canada including New York City, Los Angeles, Chicago, Montreal, Atlanta, Miami and more. Tickets go on sale the same day as his album’s release on Friday, Aug. 28 at www.livenation.com.